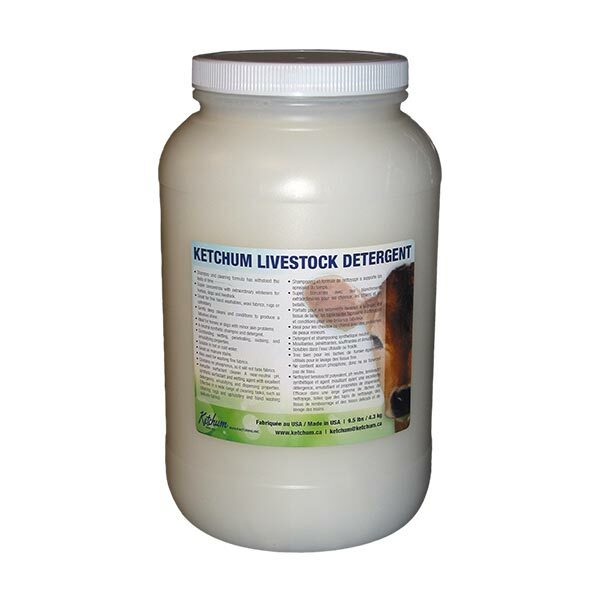 Our livestock detergent based shampoo has tremendous deep cleaning properties. Your cattle, horses, dogs and sheep will have a first place show ring shine.The 9.5 lbs (previously 7.5 lbs) container provides ample product and the price is right too! Many other uses as well. Ketchum Manufacturing gives you the tools to get the job done.